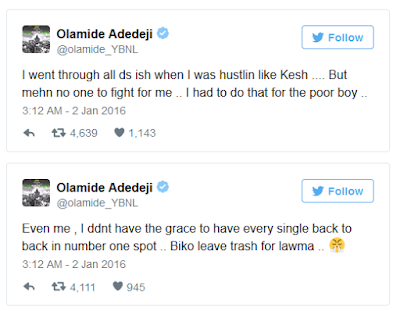 with many people expecting Lil Kesh to win the award. 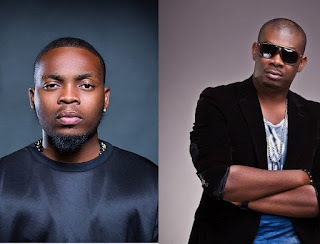 Don Jazzy took the insults personally and told Olamide that if he wanted the car (the winner of the Next Rated award usually gets a car), that he could have it. 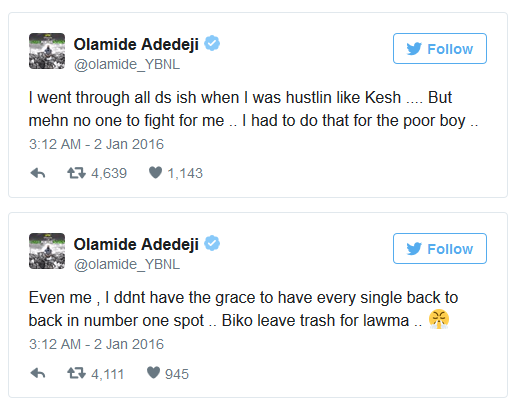 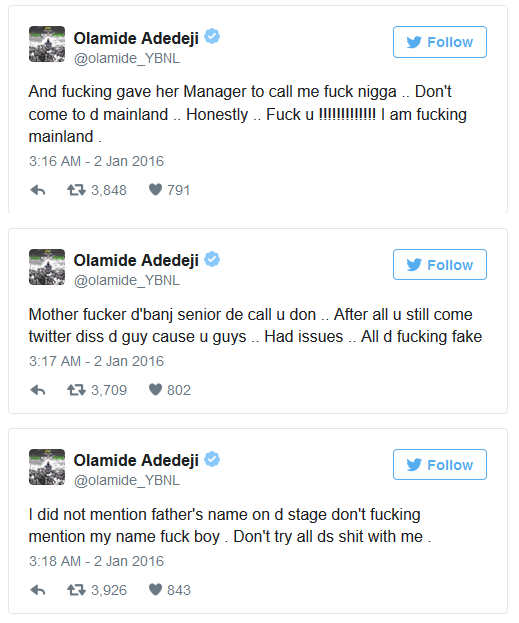 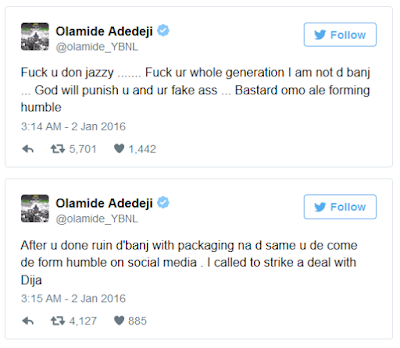 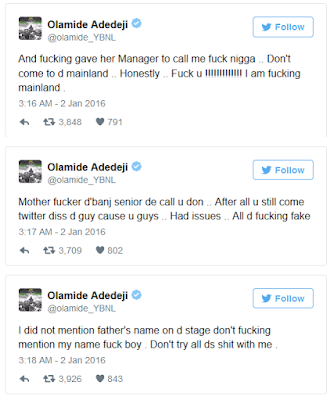 Furious at the statement, Olamide went on Twitter to launch a tirade of insults against the Mavins boss.